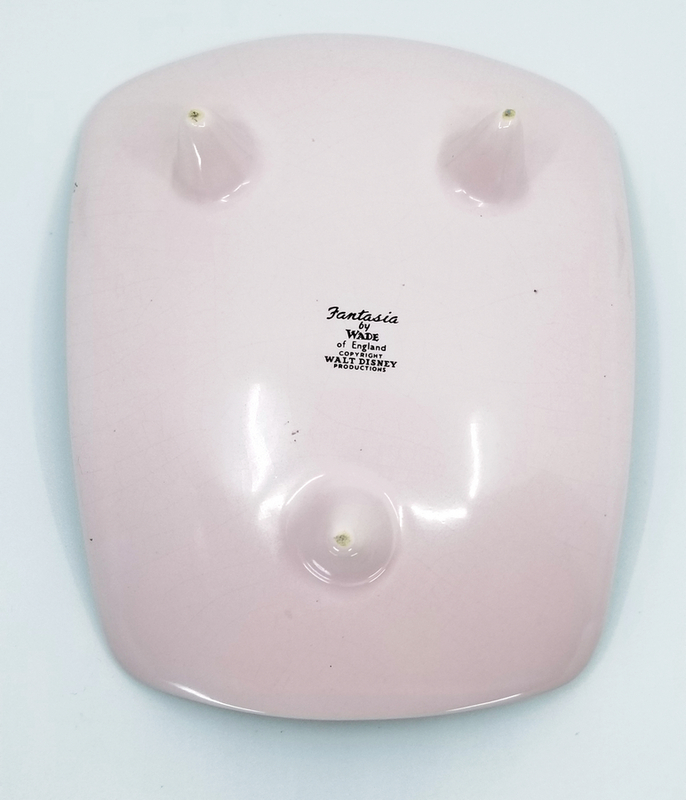 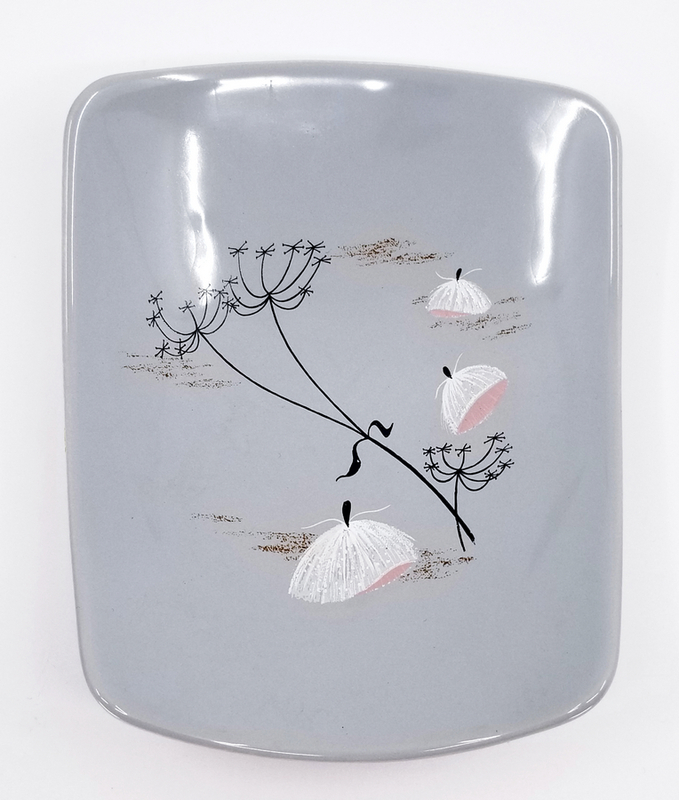 7" x 5" x 5",1.75" x 7.5" x 6"
This is a set of ceramic housewares from the 1960s depicting imagery of the Milkweed Ballet from Fantasia. 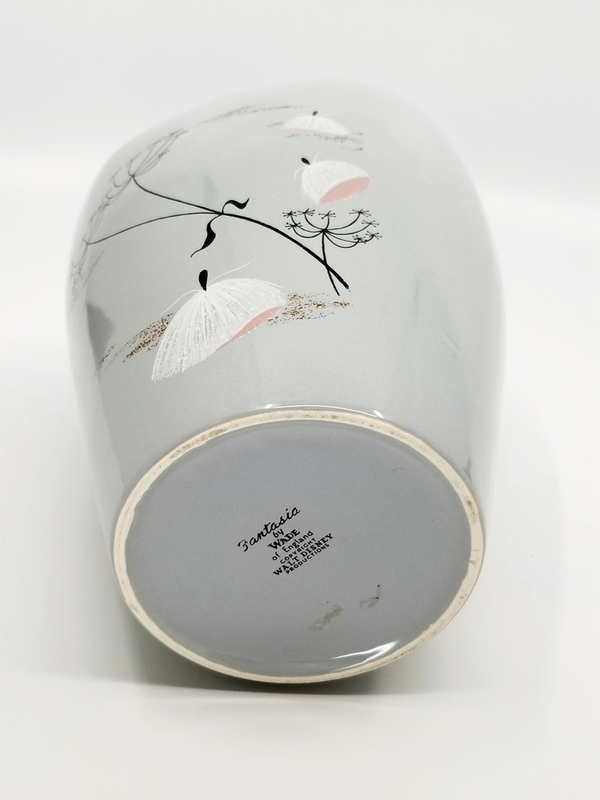 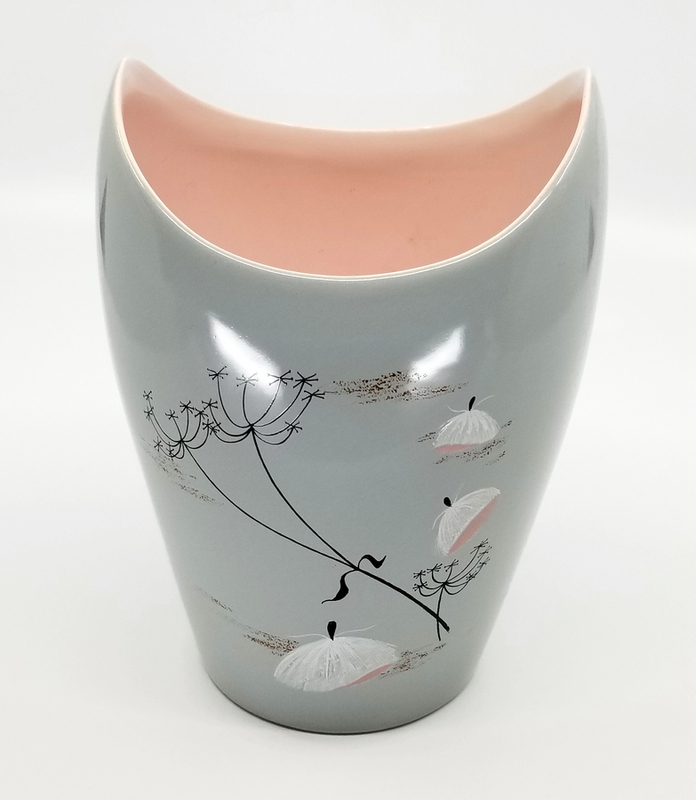 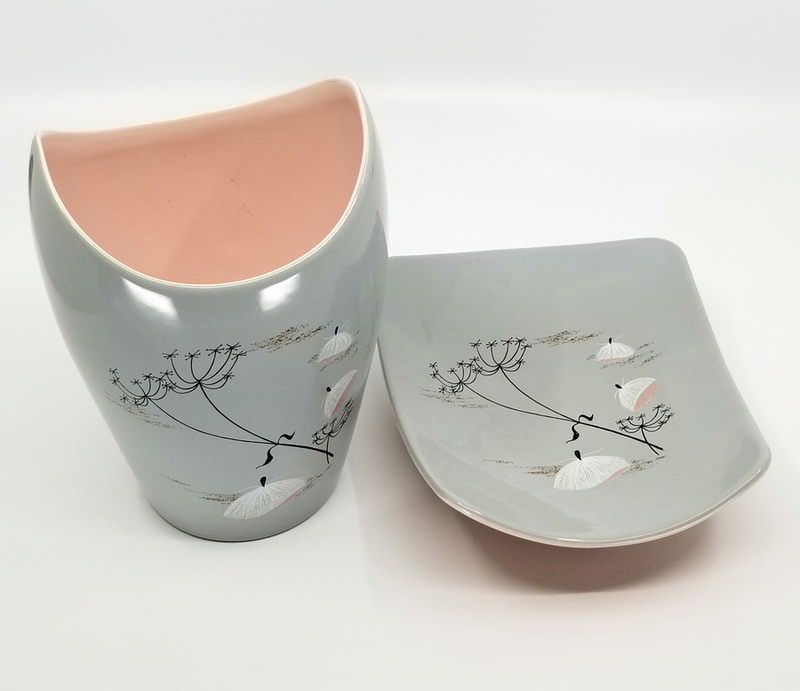 The two piece set is made by Wade of England and features a small dish and vase done in grey and pink. 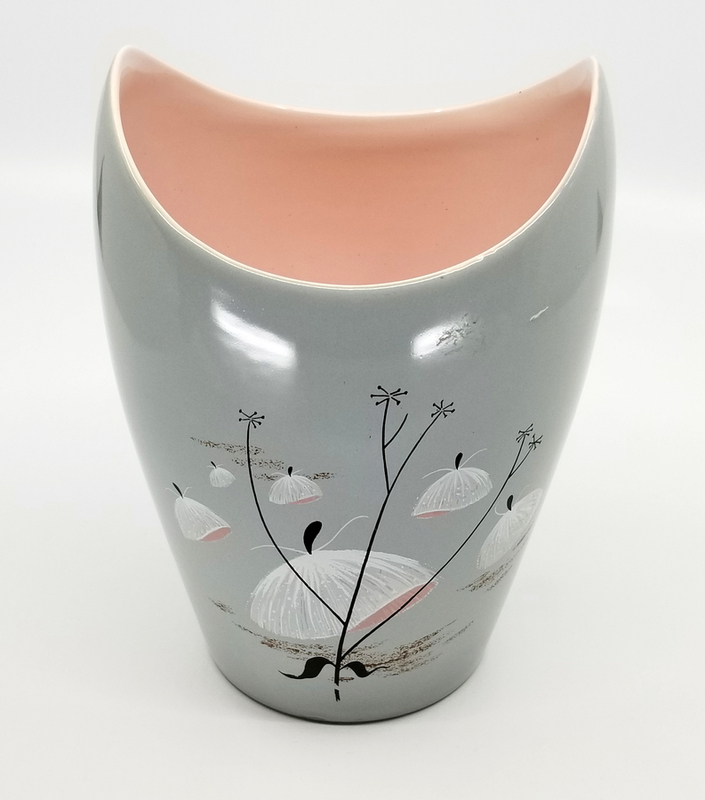 The pieces are in excellent condition and measure 7" x 5" x 5",1.75" x 7.5" x 6".